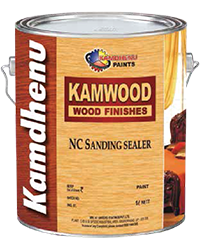 Kamwood Melamyne is solvent based paint that can be used on all kinds of wood and veneers. 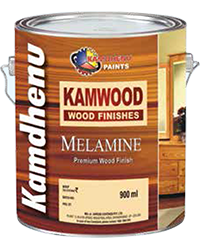 Kamwood Melamyne is specifically formulated to protect as well as decorate the wooden surfaces. It has the ability to protects the interior of wood for many years. 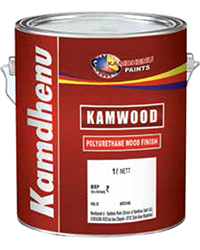 Kamwood Polyurethane Wood Finish is a single pack Polyurethane modified paint to give wooden surface and excellent finish. It enhances the natural look of wood and prevents the wooden surface from normal wear and tear. Kamoclear Lacquer is a high quality quick drying clear lacquer paint usinf Nitro Cellulose as the base solvent. 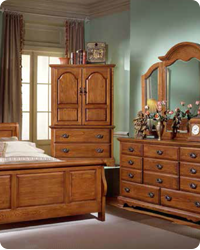 It is ideal for interior wooden furniture. Kamoclear Lacquer gives outstanding coverage and is highly economical in use. Kamothin Thinner is an all-purpose thinner which can be used as a solvent for oil based paints additionally you may also use it to clean up the excess paint.